Founded half a century ago by an Australian, London Walks claims to be the oldest urban walking tour company in the world. They also have one of the best reputations in London, topping polls of the capital's best guided walks on an annual basis. 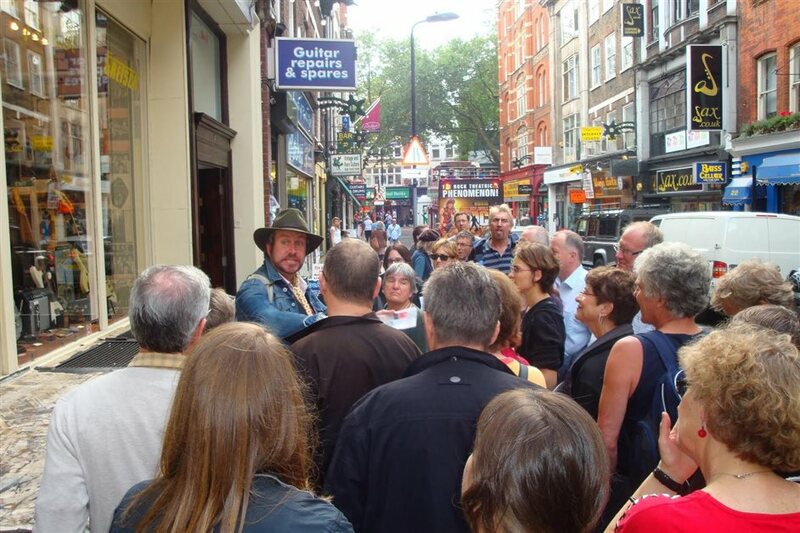 There's a seasonal rotation of popular regular walks - such as Christmas Walks, Summer Walks, Jack the Ripper Tours and Ghost Walks - and some more specific offerings, such as Old Mayfair ("the champagne and caviar of London Walks"), Darkest Victorian London, Hidden London, Olympics London, The Inns of Court, Shakespeare's and Dickens' London and Little Venice. Really, the spectrum of options is quite incredible - with walks dedicated to niche things such as The Beatles, Brunel's Thames Tunnel, the Blitz and Hidden Pubs. All the guides are extremely learned and passionate - they really know their stuff. They clearly get a kick in sharing their knowledge - and have stamped their authority over all of their jaunts. Each two-hour walk costs £9 (£7 for seniors or children) and there is no obligation to book - just turn up at the designated tube stop at the designated time and pay in cash. Visit www.walks.com for more information and full scheduling. What are the best dining options near London Walks London? London Walks gyms, sporting activities, health & beauty and fitness. The best pubs near London London Walks. London Walks clubs, bars, cabaret nights, casinos and interesting nightlife. Where to have your meeting, conference, exhibition, private dining or training course near London Walks. From cheap budget places to stay to luxury 5 star suites see our deals for London Walks hotels, including Best Western Maitrise Maida Vale Hotel from 0% off.